I read the first three books of collected comics in the Ms. Marvel comic book series last year and then read the fourth more recently since it just came out in November. 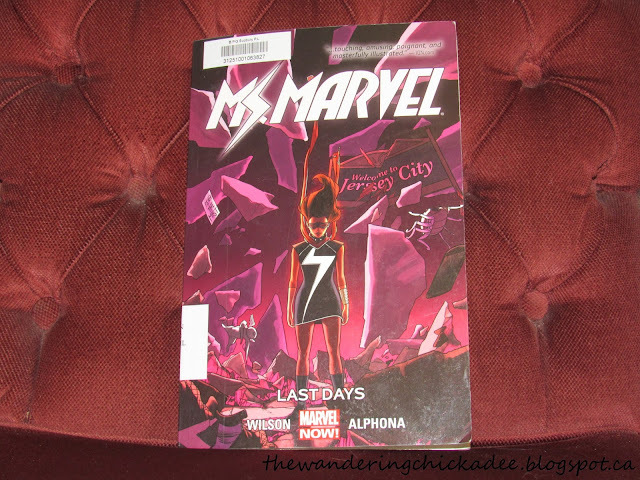 I wasn't sure what to expect from this series at first but I heard that it was good so I started reading the first collection of the comic books and I was hooked! It was a bit confusing at first because I didn't know very much about Captain Marvel (Carol Danvers) and therefore didn't know that she herself started off as Ms. Marvel. 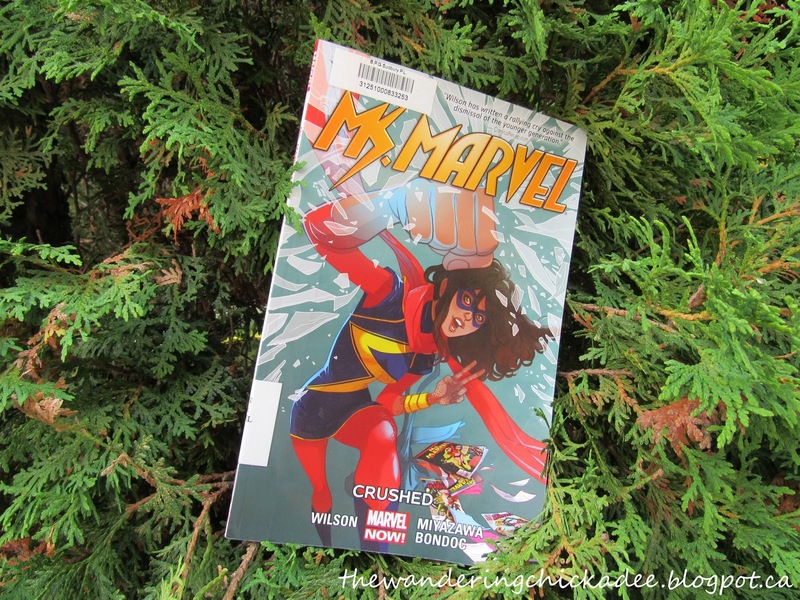 The Ms. Marvel in this series is a completely different person. 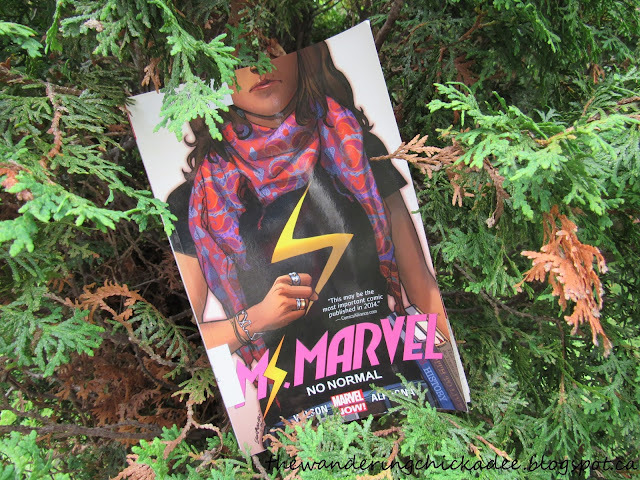 Her name is Kamala Khan, a Pakistani-American high school student in Jersey City, and she gets affected by Terrigen Mists and has a vision of several superheroes, one of which is Captain Marvel. Kamala admits to Captain Marvel that she would love to be her and then she turns into the Ms. Marvel version of Captain Marvel. She eventually is able to remain herself when using the shapeshifting powers that she has gained and she comes up with her own costume but still uses the name "Ms. Marvel." Throughout the comic books, Kamala Khan struggles with her family life, school life, and life as a superhero. All she wants to do is help people but she is still trying to perfect her superpowers and doesn't feel that she is doing the best job at helping people. 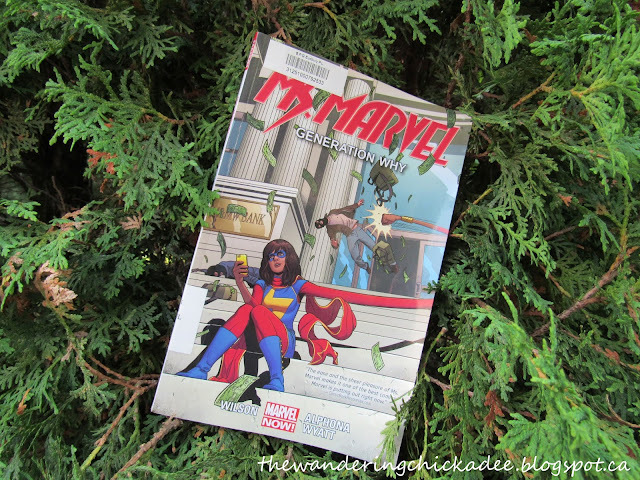 Kamala Khan also meets other superheroes that are a part of the Marvel Universe and they help and encourage her. Starting off as a young superhero can be hard, and they seem to understand that. They see a lot of potential in Ms. Marvel and believe in her.